This cute little necklace looks great worn solo or alternatively layered with one of our fine gold trace chains. 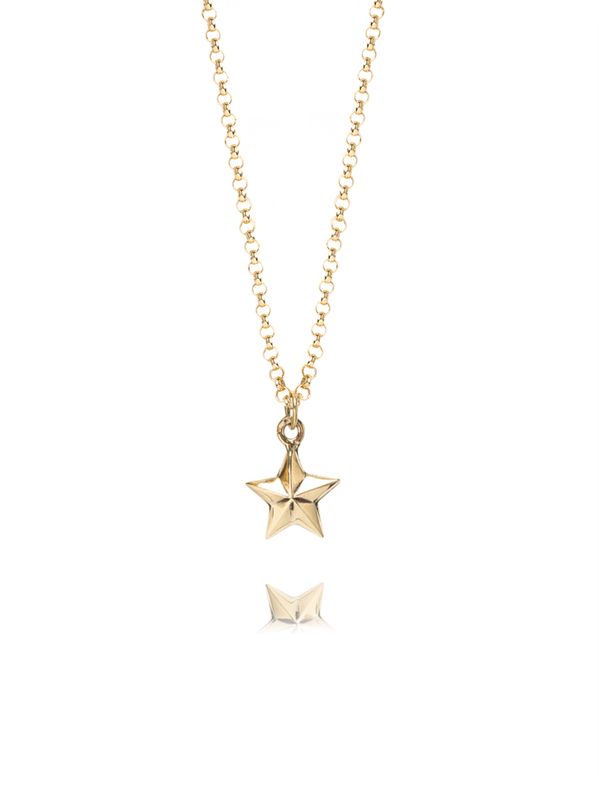 The star measures 1cm in length and the chain is a 50cm solid sterling silver belcher chain that has had a 23.5KT gold coating applied. The coating is really strong and secure.